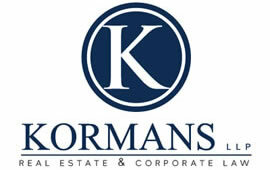 The partners of Kormans LLP have been servicing the needs of businesses and individuals in Mississauga and the surrounding communities for more than 30 years. Specializing in both real estate and corporate law, Kormans believes in building a client relationship with a proven commitment to effective, responsible and prompt legal advice and representation. Kormans LLP requested MediaTown Marketing generate a new website that would translate the Firm’s values to current and potential clients. Due to a seamless collaborative effort, the resulting website creates a user experience that focuses on nurturing client relationships and has the ability to offer reliable and affordable service.